Welcome to the 2015 Wildflower Wednesday Roundup! Wildflower Wednesday is about sharing wildflowers no matter where you garden~the USA, the UK, Europe, Australia, Africa, South America, India or the coldest reaches of Canada. It doesn't matter if we sometimes show the same plants, how they grow and thrive in your garden is what matters most. I hope you join the celebration...It's always the fourth Wednesday of the month! Without further ado, here are the best and brightest of Clay and Limestone's 2015 wildflowers. Bignonia capreolata is a vigorous, vine that climbs by branched tendrils and has attractive trumpet shaped flowers in early spring and summer. In my neck of the woods, it is more often seen scrambling 30 to 50 feet up the trunk of a canopy tree on its way to the top and sunshine. You might not notice it during the summer, it has deep green leaves that get lost, but, if you see a trumpet shaped flower lying on a path~stop and look up, the flowers will be blooming at the top of the tree. blooms in the early summer at the tops of the trees in my garden. It has much to show for itself all winter long when the evergreen leaves take on a reddish to deep burgundy hue that brightens up a mostly brown winter garden. It's hard to believe that 5 years have passed since the first Wildflower Wednesday meme post. I want to thank each of you for joining me on my continuing journey to create the best wildlife garden possible and for sharing your posts with me. At first I wasn't sure what I wanted to do to celebrate this special anniversary and then it occurred to me that I could share that first official Wildflower Wednesday post with some updated text and photos. So that's what I've done. 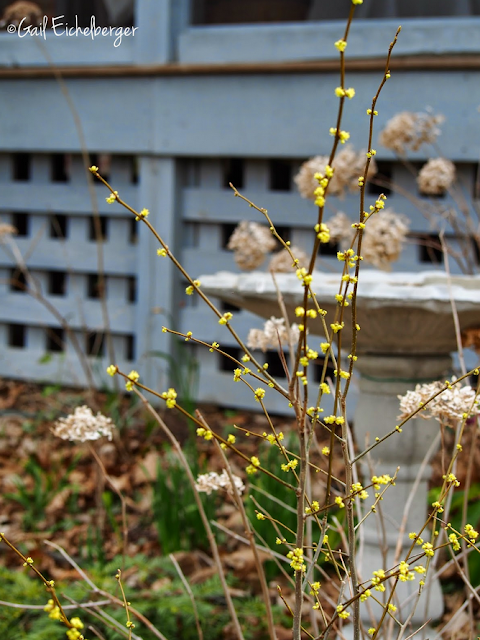 Lindera benzoin is one of the earliest blooming trees in my garden. I love how the sulphur yellow flowers light up the dark corners of the woodland. It's a wonderful small understory tree and you'll find it on my list of perfect native plants. Lindera benzoin ought to be in more gardens. It's easy to care for, good looking and has great wildlife value...Don't go looking for fancy cultivars, as far as I know there are none. Seriously, a tree like this doesn't need to be "improved", it's already perfect! 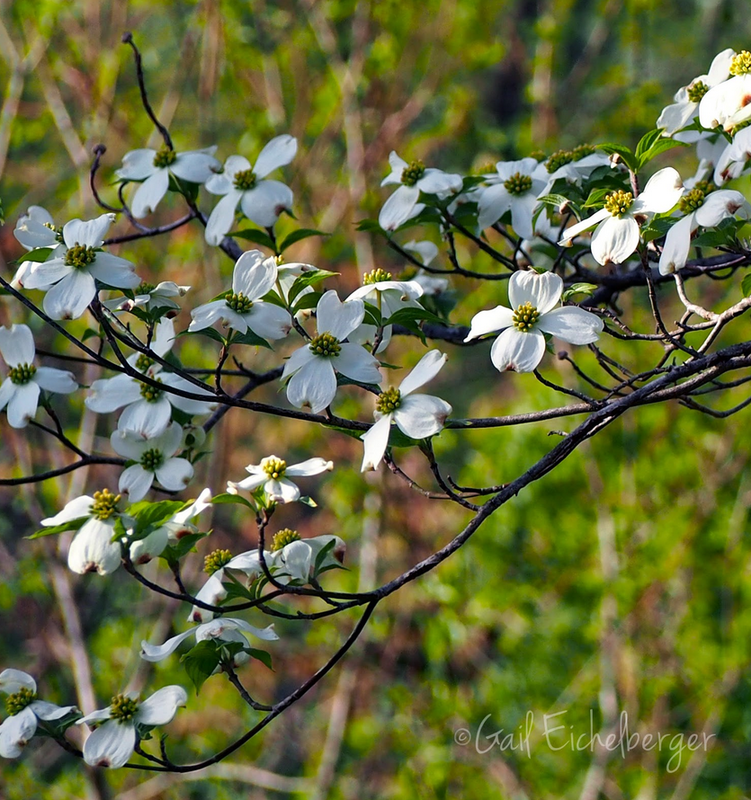 Flowering dogwood is the most popular understory tree in my part of the gardening world! I have several in my front garden and my favorite grows in the shade of a Bur oak and several Shagbark hickories. It has the most appealing and graceful tiered and horizontal branching and the lower limbs tickle the Golden ragwort and Mayapples growing beneath it. If you're going to add one to your garden don't plant it in the middle of the lawn, instead, plant them in the shade of a taller canopy tree to give them the dappled light they prefer. 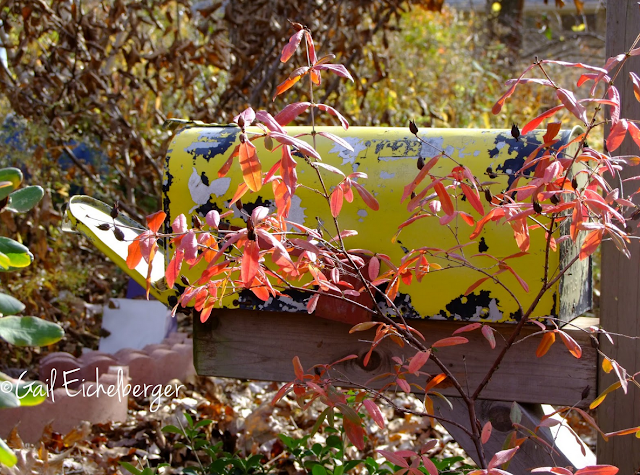 Let those lower limbs alone and smother the lawn with newspapers covered with decomposing leaves (or pinestraw). Then plant spring ephemerals and other shade loving wildflowers. Voila, just like that, you have a woodland wildflower garden. All from one understory tree! 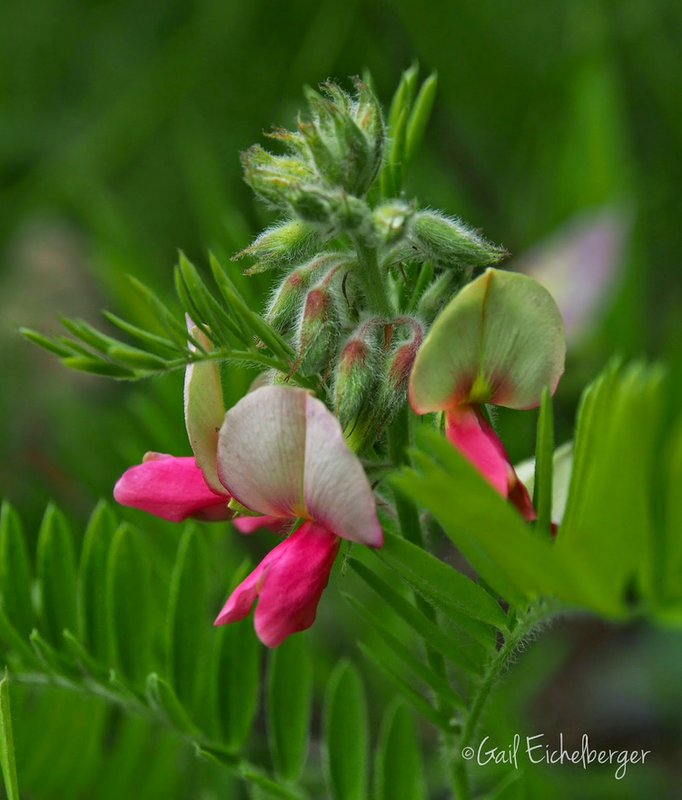 It's Tephrosia virginiana also known as Goat's Rue and it's our Wildflower Wednesday star of the month. It has fuchsia pink, creamy white and yellow blooms that resemble sweet peas and are striking against the silvery stems and leaves. I am delighted and surprised that it is blooming in my garden. It is said to prefer sandy, loamy, acidic soil and as you all know that is no where near a good description of the soil at Clay and Limestone! It's been growing nicely for the last two years on the rocky edge of the Susan's Garden and the asphalt driveway. A taprooted plant, it's anchored itself firmly into the ground, so I must be doing something right to make this beauty happy! When you commit to a pesticide free garden you have to be prepared for chewed on petals and foliage. Are you ready to embrace imperfection? You won't be sorry when you do. Bees, butterflies, skippers, beetles and hoverflies will move into your garden. It will be alive with critters. 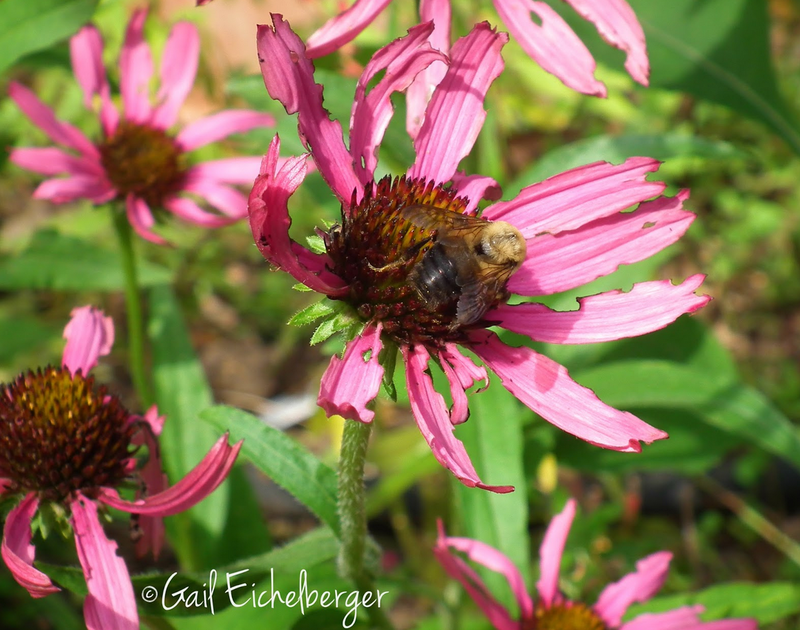 Your garden will not be magazine perfect, but, pollinators don't care if your flower petals are chewed on. Pollinators need flowers bursting with pollen and nectar. 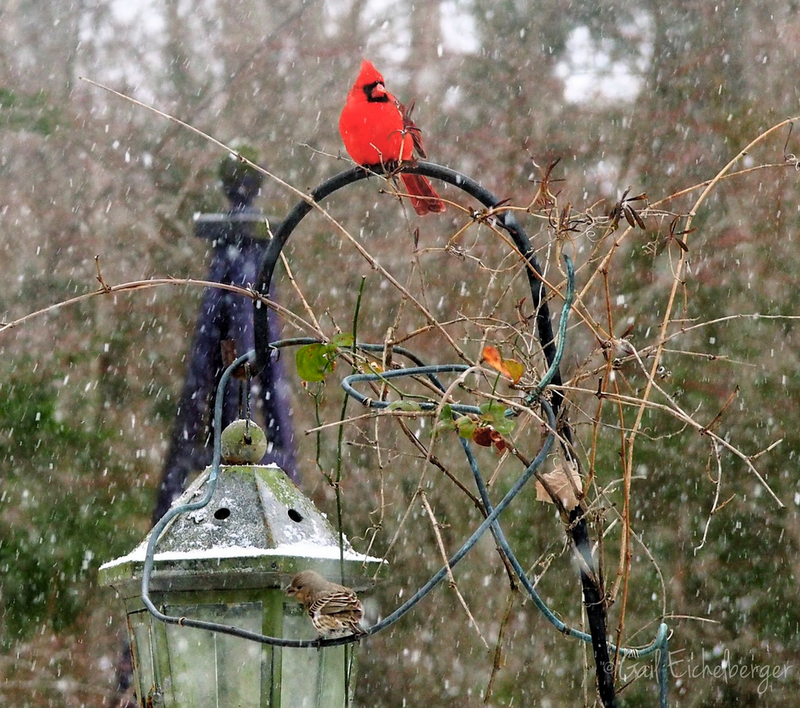 Your garden will be teeming with life. Spiders will build webs, the beneficial insects will keep aphids in check, pollinators will pollinate and, birds will hunt the insects. I count on the different species of Phlox for several seasons of delightful color starting in early spring. The first Phloxes in this garden were here when I arrived. They were the offspring of whatever the previous gardeners might have planted 30+ years ago and were all wonderful magenta flowered beauties. The offspring of the offspring are still here and after years of letting species and cultivars go to seed, real treasures have been produced in the crossings of the crossings. 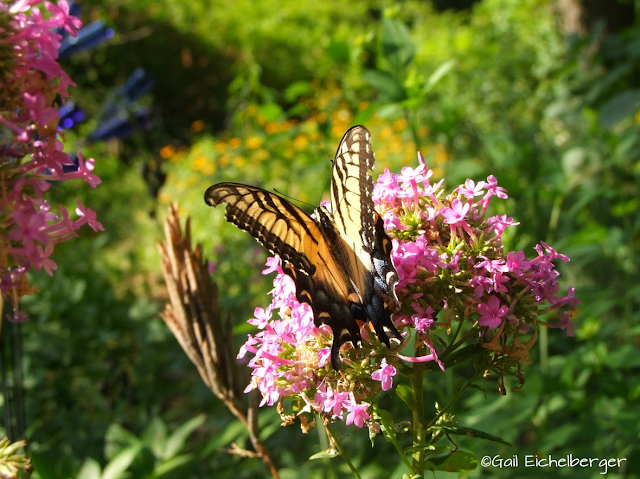 Butterflies, moths (including Hummingbird and Sphinx moths) and skippers are the primary pollinators of phlox. Their proboscis are long enough to reach the nectar at the base of the narrow phlox corolla and pollen is carried to the next flower. Phlox has all the characteristics of a classic butterfly nectar flower. I decide every year to plan more Phloxes! This summer I did! 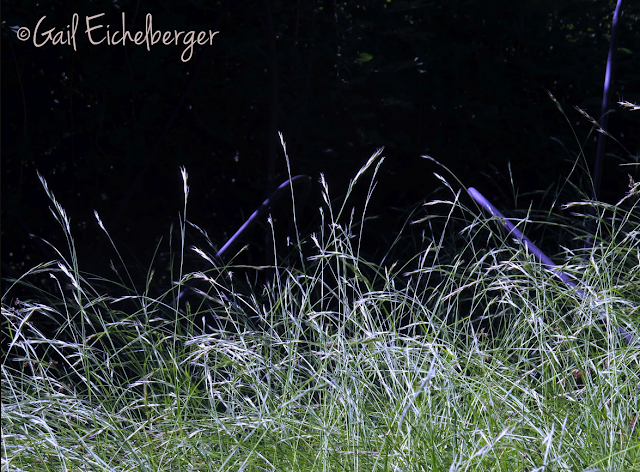 I love my cool season grasses, especially Danthonia spicata. They're the first grasses to green up and by the time the warm season grasses are knee high they've begun to set seed! It's a puzzle to me why they're still overlooked, underestimated, unappreciated and in some cases still unknown. On the whole they're easy peasy plants that would grow well in many of our garden settings. 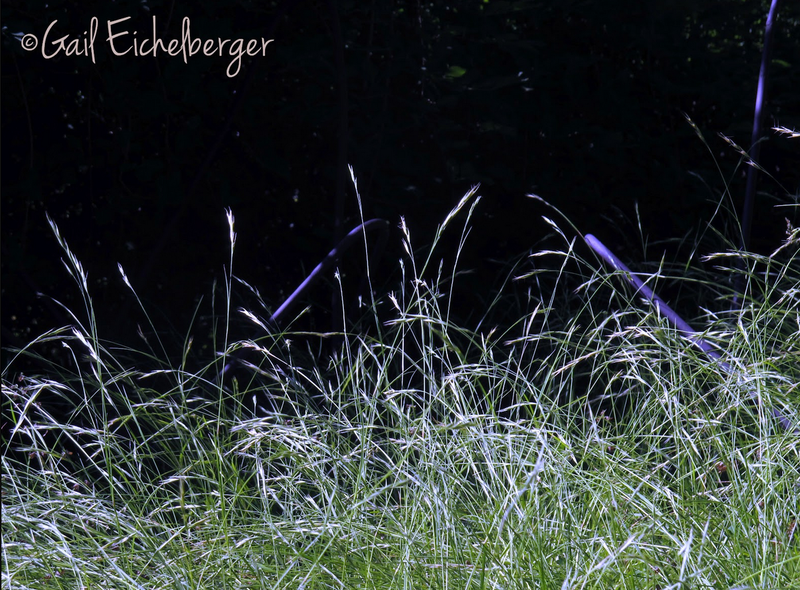 Most cool season grasses don't make as big a show as our handsome warm season native grasses, but, they play an important ecological role in plant communities by providing food (forage and seed) and cover early in the growing season when most other plants are just waking up! That's a lot of coolness! I wasn't sure which of the glorious wildflowers of the Autumn Equinox to showcase for Wildflower Wednesday! September has a number of beauties! Salvia azurea was first! 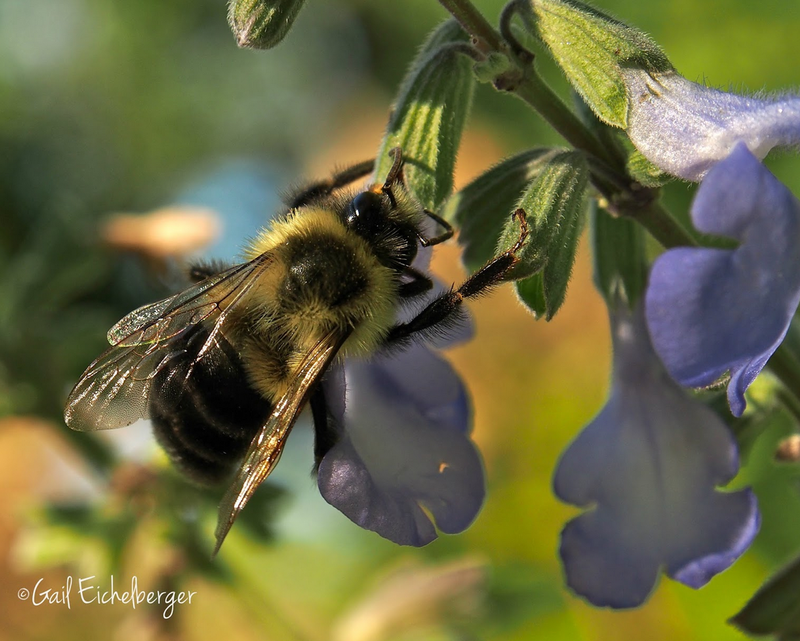 Pitcher sage is not only beautiful, it's a favorite of bees. The bumbles are the primary pollinator of this Salvia~they fit perfectly into the lipped flowers. The Carpenter bee, although another frequent visitor, is not a pollinator. It's too large, instead it slits open the corolla and robs the nectar while avoiding contact with the pollen. The stinkers! Occasionally, butterflies visit, but, I've not captured any photos this year...It's a sweet flower that's native to North Carolina south to Florida; west to Texas; north to Nebraska and Minnesota. It's happy in full sun or partial sun as long as it gets good drainage. The species Fragrant sumac is a woody plant that can grow 6 to 12 feet. That's entirely too large for my garden (and most of yours), so I planted 'Gro-Low'. It was selected by growers for its dwarf habit, making it very attractive for my garden. It will grow in poor, dry soil in full sun or deep shade. It requires only good drainage. At two to three feet tall and with a 4 foot spread it's a delightful groundcover under my Rusty Blackhaw. The spreading branches root where they touch the ground and that helps it form a dense weed suppressing mat. 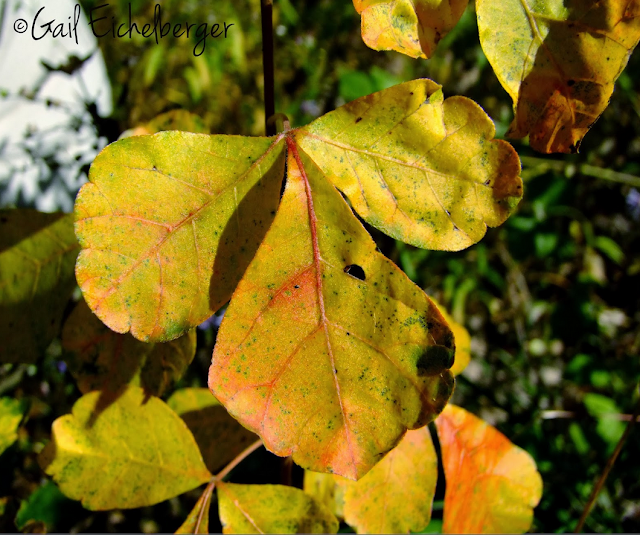 Leaves and twigs are aromatic when bruised giving rise to its name~Fragrant sumac. 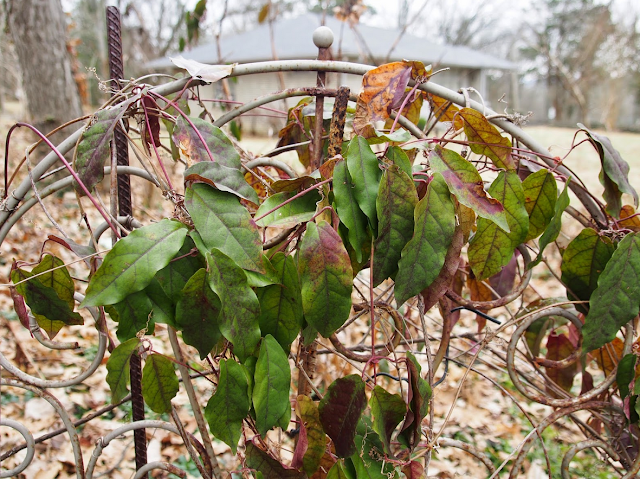 The smaller leaves do have a slight resemblance to those of its relative poison ivy (Rhus radicans), however this fragrant sumac is a totally non-poisonous plant. It blooms in spring and the nectar and pollen attract small bees, flies and even some larger carpenter bees. Small clusters of hairy, red berries which may persist into winter replace the female flowers. The ripe fruits are a treat for birds and small mammals. My love for wildflowers opened my eyes to pollinators and their importance to our gardens, to agriculture and to the earth. I came to love wildflowers so much that I wanted others to appreciate them. That's why I started the Wildflower Wednesday monthly meme. My dear friends, Thank you for planting more wildflowers. 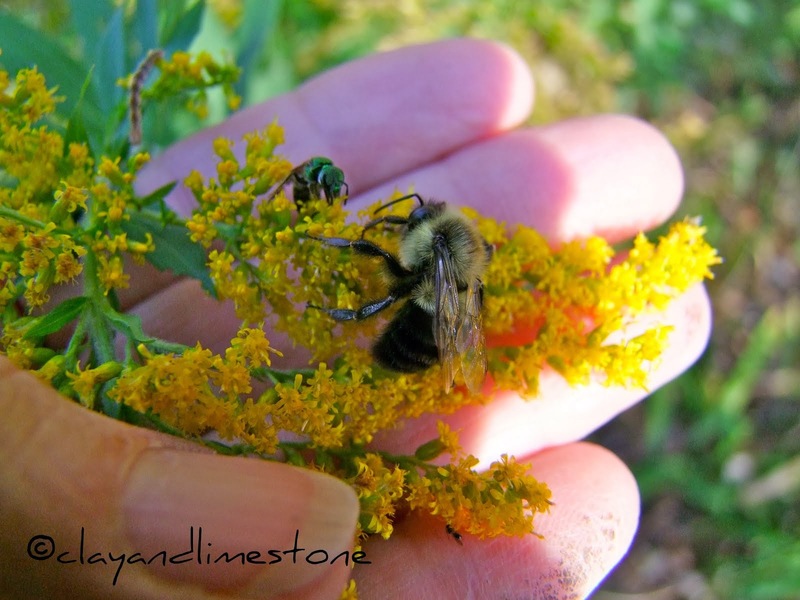 Thank you for taking care of the bees and all the other pollinators that visit and live in your gardens. Thank you for tolerating what others consider pesky wildlife. Thank you for another year of your friendship, visits, comments and for joining me in celebrating wildflowers all over this great big wonderful world. You are the best and having you in my life has enriched it beyond measure. And a very Happy New Year to you and your family! Thank you for sharing and inspiring us all with your love of the natural environment and the natives that bring us so much joy. The pollinators and I thank you for your offerings. Hope your Christmas is merry and the new year brings you good health, happiness, and love. 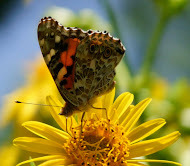 Always a pleasure Gail to read your posts and join in...thank you for keeping wildflowers front and center. They are so important. I will be joining in Monday. Merry Christmas and Happy New Year! I will bring my Christmas Wildflowers to you next Wednesday. Today I was thinking about our Rhus, which is now renamed Searsia. Planted a second Searsia leptodictya. Also has the fragrant leaves mmm. Thanks I will add it! Happy New Year, and keep sharing your knowledge of wildflowers with us. I don't participate, but I always read, and always learn something. Thank you Gail! I love your year end review. Inspiring. As I look forward to my first full year in my new smaller garden it will contain many wildflowers/natives.